Neighborhood Dances is an ongoing series of daily microdances, recorded on smart phones and distributed through social media. These suburban and urban interventions are brief gestures exploring the landscape as a frame for idiosyncratic improvised movement. 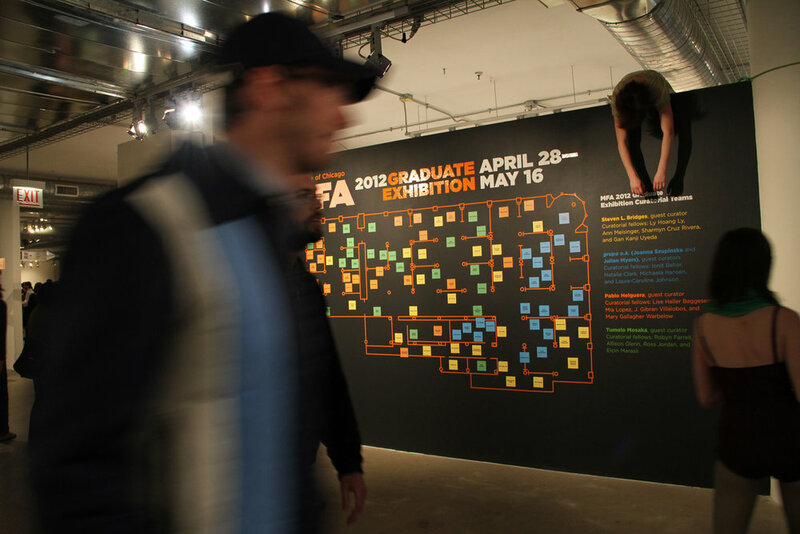 Meticulously documented and archived, the material from this practice was reframed and reperformed in galleries in Illinois and Louisiana, the Defibrillator Performance Art Gallery in Chicago, as well as the Museum of Contemporary Art Chicago over a period of three years. 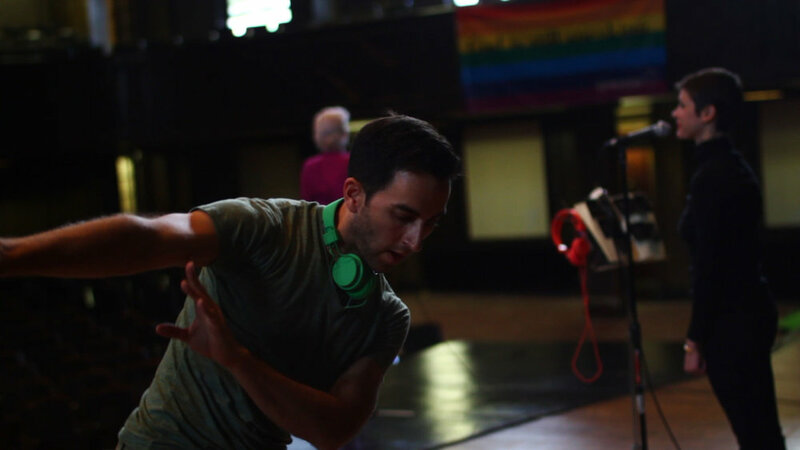 DANCE: Victoria Bradford, Aurora Tabar, Xinqi Tao, @moonsallytinspoon, @crispenrosenkranz, @sophiadeleonsanchez, @c_rafferty, @ughamy, @violetred7, @kburzon, @caithlindemarrais, @chrissles86, @emcaesar, @fiafiabobia, @boomerangdance, @cabinfeverliveart, @roxannegraydance, et al. 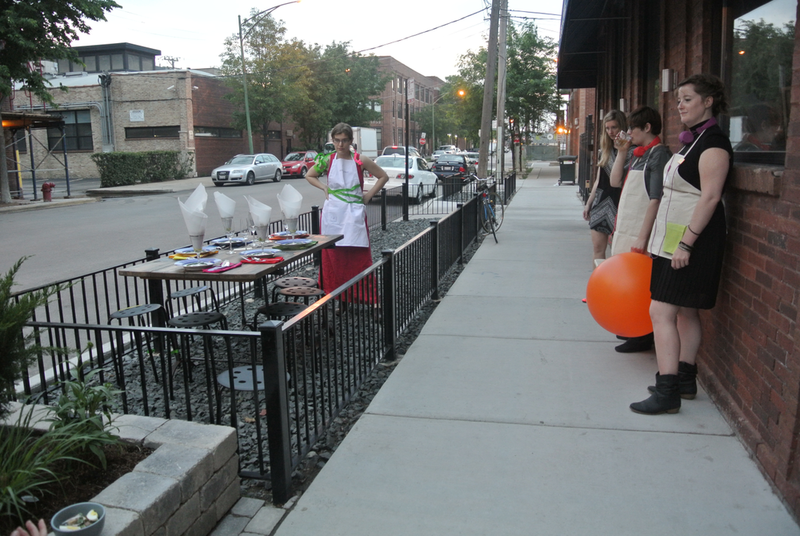 PLACE is a site-specific artist’s residency program seeking to create temporary, cross-disciplinary cultural spaces. Starting with the old social security building in downtown Lake Charles, PLACE created energy, excitement and additional foot traffic through its efforts and activities in the community. 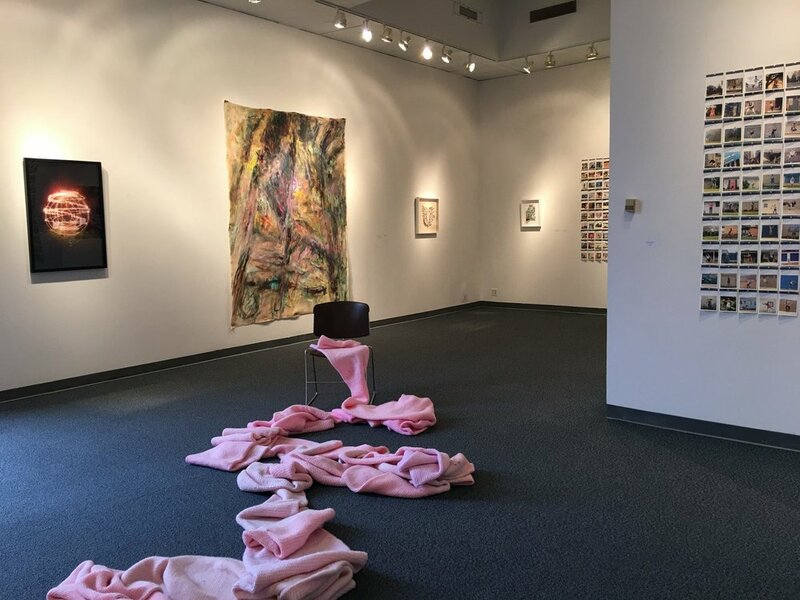 The second iteration of PLACE was a week-long series of performances including artists and community members resulting in the creation of a large-scale embroidered drawing. PLACE cultivates creativity in unexpected spaces, from vacant storefronts to people’s living rooms, transforming the usual into the extraordinary, and giving us permission to take risks and explore. Skirts used live performance and dance for camera to examine humor, feminine constraint, anachronism and beauty. Research for the project focused on women’s clothing and how their physical activity was shaped by these garments. 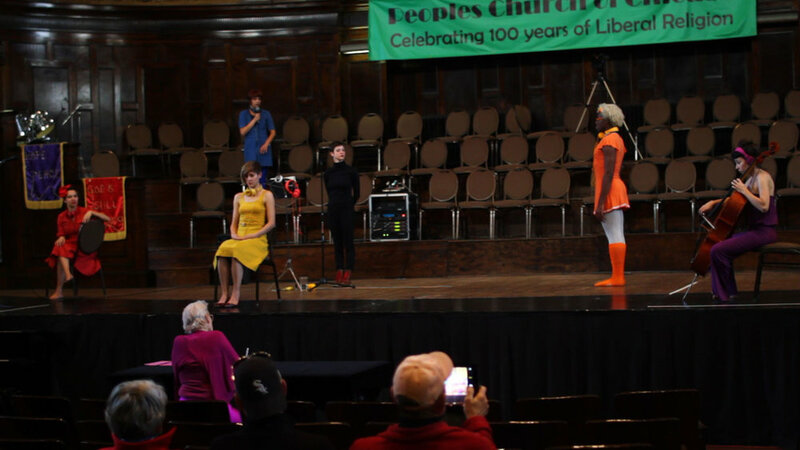 Working within complex scores, dancers used structured improvisation and spectacle to craft a series of performances in public spaces. 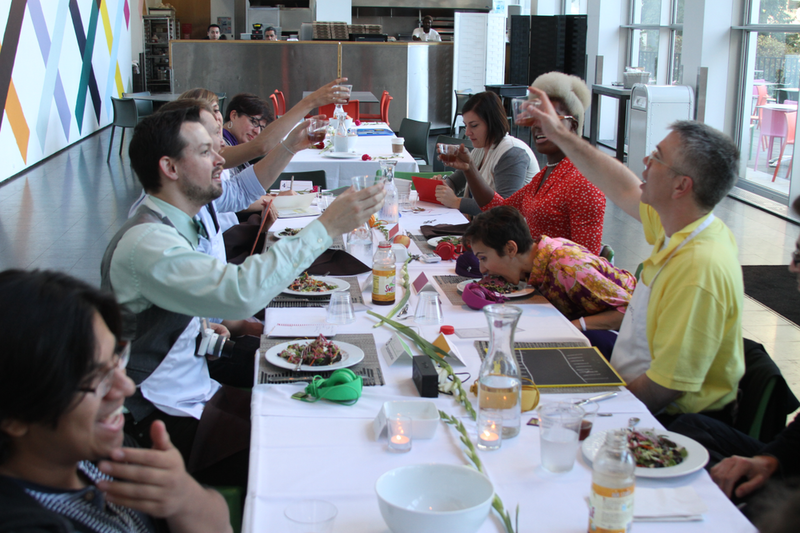 Dinner Dance is a series of experimental dinner parties at which performance workshops and large scale participatory installations are hosted. 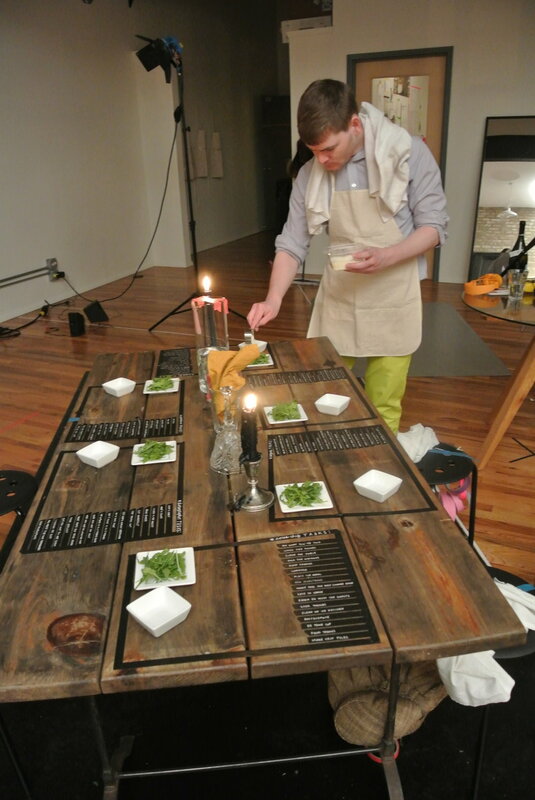 Through a series of actions, labors, and engagements, guests gather with the artists to share in a choreographed meal. The “dance” is a conversation that happens across tables, through movement, and on every household “stage”—from a kitchen to the front door. Dinner Dance has been staged at the HUB Northside Studio, the Chicago Artists Coalition Gallery, Chicago Artists Month, the Museum of Contemporary Art Chicago, the McColl Center for Art + Innovation in Charlotte, NC, and several private homes. 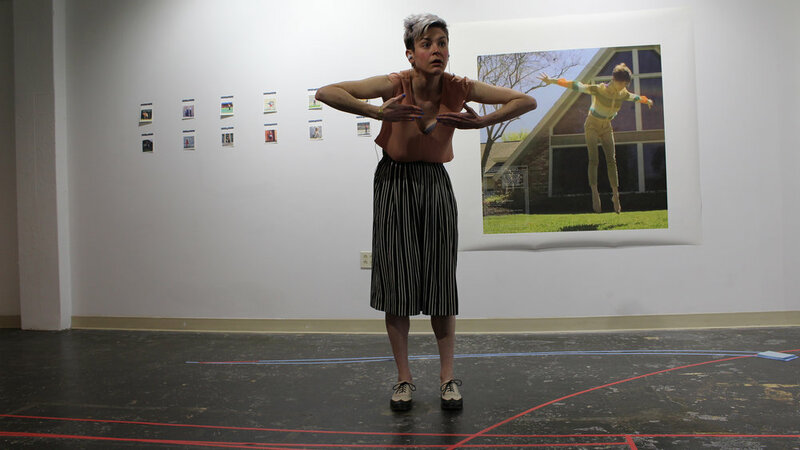 I’d Rather Dance with You than Talk with You was a site/situation-adaptive performance engaging the small gestures and quiet movements of our bodies. 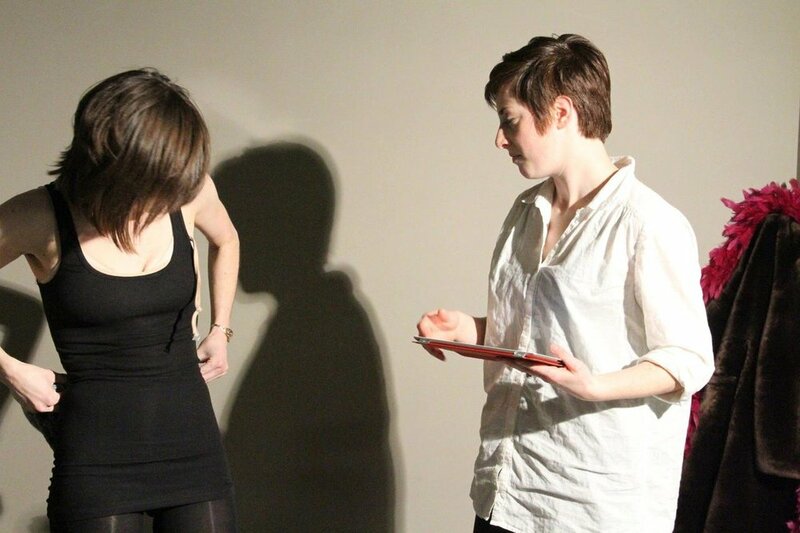 The performers work through multiple variations of an improvisational structure, rooted in texts by Italo Calvino and Peggy Phelan. 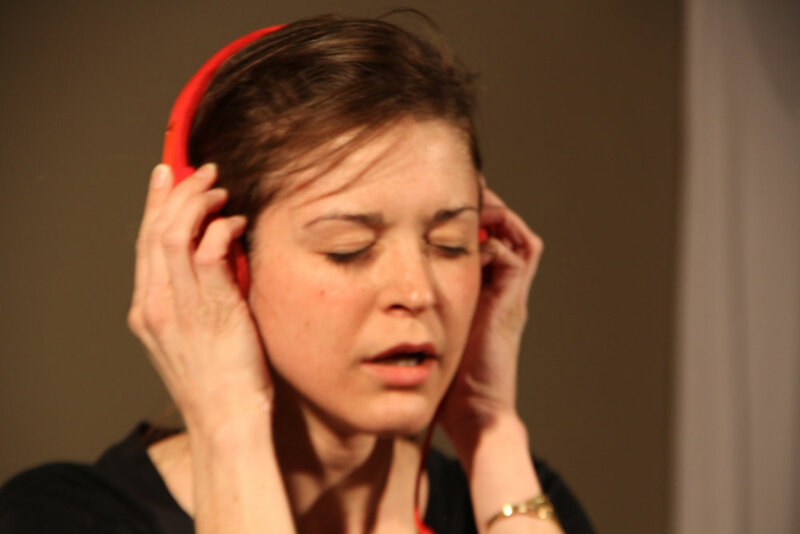 Each variation attempts to modulate the volume of the gestures using different tools: spoken gibberish, cello gibberish, movement gibberish, descriptive movement, witness testimony, amongst others. The dance is taken up in the field of the audience, and the audience is immersed in the creation of the stage. 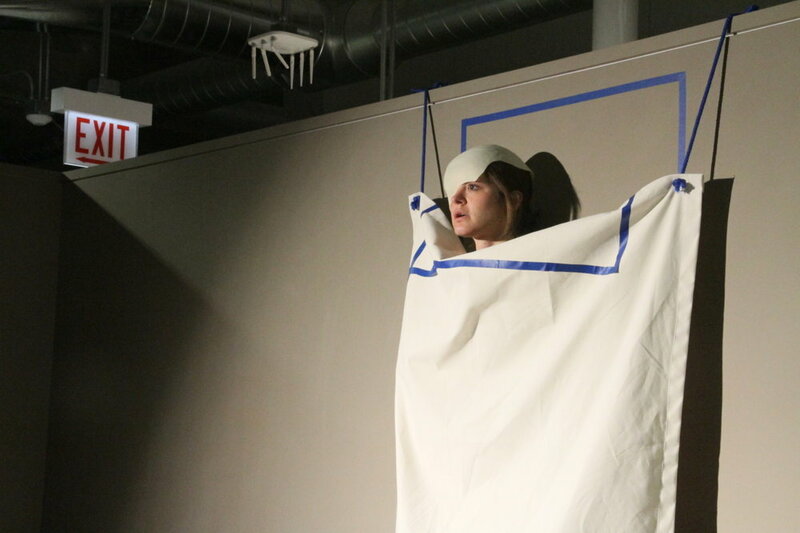 As Calvino notes, “it is a dialogue between the deaf, a conversation without a head or tail.” Originally commissioned by Design Cloud Gallery Chicago for their Spring Performance Series and first shown as a work-in-progress performance at HUB Northside in January 2013. I’d Rather Dance with You than Talk with You was reworked and adapted for UPTOWN 5 with new additions to the cast. 20 days. Every day a dance. Every day building a new dance out of the residue of dances past. What does this mean? How does this work? Practically speaking, I assembled some packages. 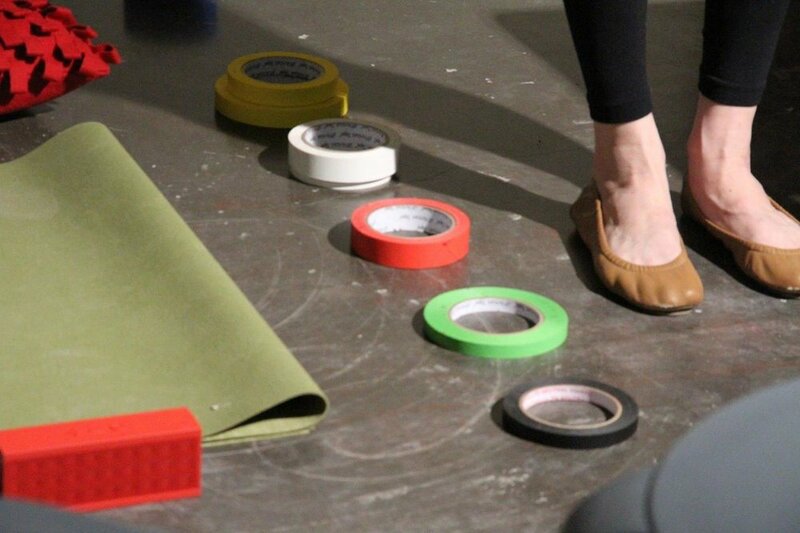 Each package contained some items related to a dance the company had previously performed, a manifest detailing those items unable to be included, and some brief instructions or reminders drawn from the performance. Each package was left unmarked, and each day an audience member as allowed to choose a package for the next day’s work. The contents of the package were not imperatives; the past dance was not a script to be re-performed. Instead, these things were treated as knowledge, a body of knowledge explored, shared, discovered. Where could they lead us here and now? In response to our current conditions? 20 Days: Every Day a Dance was a twenty day residency and performance series mounted for Victoria Bradford's MFA thesis at the School of the Art Institute of Chicago in April/May of 2012. This is Not Rehearsal started out as an 11×15 ft white-walled cubicle, but quickly became a rough sketch of a stage, then a finished theatre. 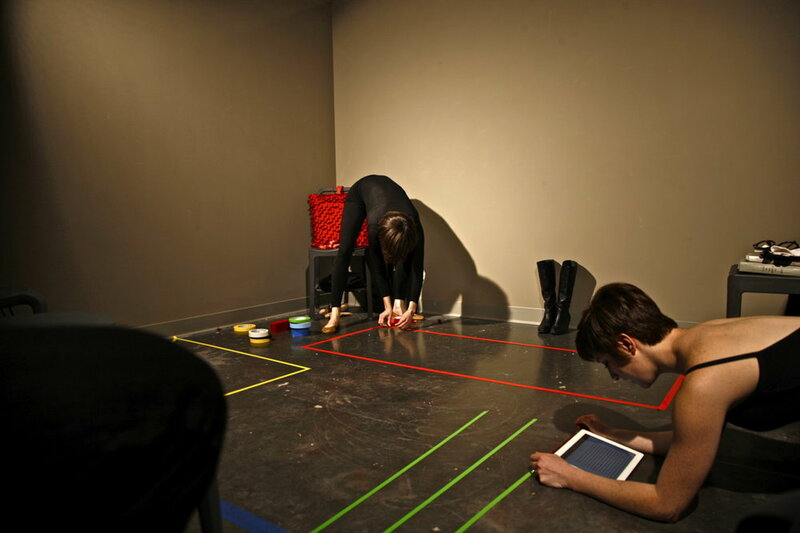 Week after week, with only a loose plan of engagement, workshopping movement from text or tape scored on wall and floors, the door was open to anyone passing by as a “not rehearsal,” always performance space. By October a manifesto of this working method had been written. 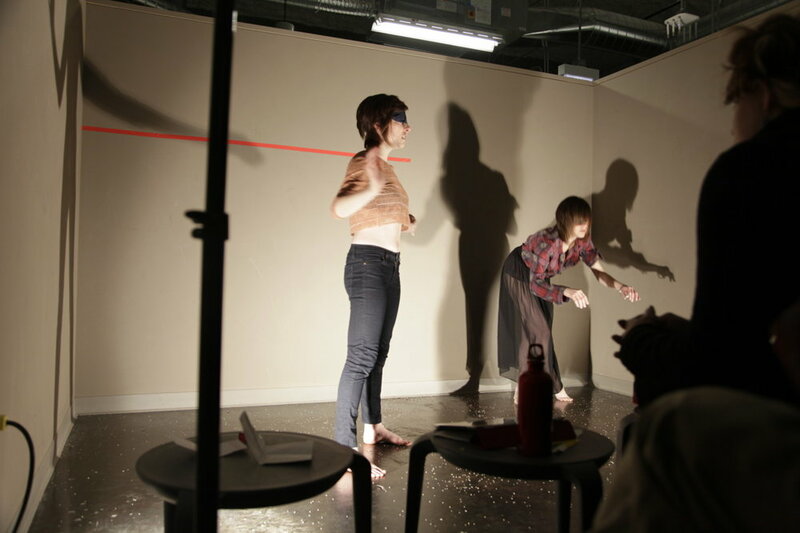 Subsequently a bi-weekly “Invitational” performance series was staged in the space, where new works were performed that had been incubated in the space in the time between public showings.